Nestled along the untouched eastern coast of the verdant island nation, Trou d'Eau Douce Bay's tranquil, uncrowded world-class beaches are found. Here, the resort offers an unrivalled standard of privacy and personalisation in an atmosphere of refined island luxury. Thoughtfully renovated in accordance with plush contemporary design, every room and suite incorporates indigenous island touches, features uninterrupted, postcard-perfect views of sparkling, turquoise waters and embodies sophistication and style. 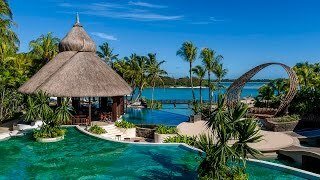 In addition, with fashionable restaurants, bars and entertainment venues that are set against the backdrop of a dramatic tropical landscape and offer bespoke experiences and luxurious indulgences, Shangri-La's Le Touessrok Resort & Spa, Mauritius, is sure to become the hottest spot in the country. Though the resort is an ideal destination for lounging on idyllic beaches and succumbing to pampering spa days, it also provides everything needed to keep the more active world traveller entertained as well. The crystalline waters with vibrant marine life beckon. Thrilling water sports and island activities can be customised to suit any guest's unique interests. Just off the resort's pristine shore, there are two paradisiacal islands – Ilot Mangénie, which is open exclusively to Shangri-La's guests and features a trendy beach club and on-island butlers, and Ile aux Cerfs, which holds a spectacular 18-hole championship golf course that was designed by the famous pro-golfer Bernhard Langer. Gastronomes will enjoy taking amazing culinary journeys at the resort’s exceptional restaurants and bars, which serve international gourmet cuisine. The vibrant atmospheres, cutting-edge concepts and artistic collaborations at the resort’s dining venues create holistic dining experiences that are more than just outstanding meals. Here, revelry and performances as individual as each guest push the boundaries of anything that has been offered on Mauritius before. Each one of the 200 rooms and suites and three exclusive villas at Shangri-La’s Le Touessrok Resort & Spa, Mauritius, provide guests with a personalised sanctuary. Having undergone a meticulous and thorough redesign and renovation work, our lodging sets the standard for elegant island chic with that special Shangri-La touch. Rich and tasteful furnishings have been carefully curated to complement the surrounding natural beauty and local culture. At Shangri-La’s Le Touessrok Resort & Spa, Mauritius, indigenous materials and contemporary style are seamlessly mixed to create a beautiful and chic atmosphere. The resort features five restaurants that serve the finest Western and Asian cuisines. From the spices and fragrances of India to the pure, fresh ingredients of Japan, there is something for every taste and occasion at the resort's numerous dining venues. Complementing the experience is your choice of location. From the quiet offshore retreat of Ilot Mangénie to our lively mainland restaurants – you will be spoiled for choice. At Le Bazar, when accompanied by a paying adult, up to 2 children of registered guests that are under the age of 6 can enjoy buffet meals at no additional charge. Additional children that are under the age of 6 and all children who are 6 years of age or older but below 12 years of age will receive a 50% discount on the buffet price. Children of non-registered guests that are under the age of 12 will receive a 50% discount on buffet meals at Le Bazar. Kids under 6 years old can enjoy complimentary meals at the Kids' Club as well. To ensure a pleasant stay for all our guests, we have established dress codes at our restaurants and bars. Smart casual; however, shorts and open shoes or sandals are permitted. The wearing of swimsuits and walking barefoot in our restaurants and bars is not permitted. Gentlemen are required to wear long trousers, sleeved shirts and closed shoes in Republik Beach Club & Grill, Safran and Kushi. Shorts and open shoes or sandals are only permitted in Le Bazar. Guests under the age of 12 are not permitted in Republik Bar and Sega Bar after 9 pm. No matter how you prefer to have fun, Shangri-La’s Le Touessrok Resort & Spa, Mauritius vast array of exceptional sports and relaxation facilities are sure to meet your individual desires. Knowledgeable Shangri-La Specialists are available to help arrange unique experiences to ensure that every guest has a perfect holiday. 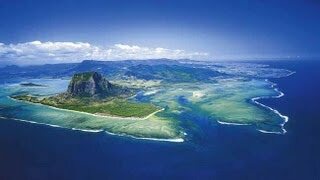 Take a dip in the Indian Ocean and discover a vibrant, unspoilt marine world. A range of complimentary water sports, including kayaking, stand-up paddleboarding (at Hibiscus Beach), wake boarding, sailing, snorkelling, windsurfing, water skiing, pedal boating and Hobie cat sailing. Moreover, take on additional exciting activities, such as kitesurfing, parasailing, big game fishing and scuba diving, for a fee. Wind down in our exclusive spa, which offers 8 serene treatment rooms decorated in a sophisticated style that is unique to Shangri-La. Featuring Chinese and Ayurvedic treatments, the spa’s menu provides holistic wellness to meet each guest's particular needs. Shangri-La’s Le Touessrok Resort & Spa, Mauritius, offers a state-of-the-art Heath Centre with facilities to suit every fitness preference. The Health Centre’s experienced team can help each guest achieve their best through personal training and stretching sessions, and special programmes for swimming, aquatic exercise, tennis and golf. The Health Centre is open from 7 am to 9 pm every day. Shangri-La guests can use the fitness equipment for free. However, a fee will be charged for personal training services. Tennis aficionados and casual players alike can enjoy the Tennis Club’s four floodlit courts. The Tennis Club is affiliated with the S-Tennis Academy, which provides experienced and qualified instructors to assist guests with perfecting their technique. The resort also offers bocce ball, football, volleyball, badminton, archery, yoga, tai chi, a jogging track and aqua-gym lessons to satisfy all interests. For those who would like to stay active while exploring the island’s unspoilt landscape, nature trails and cycling are also available. The Shangri-La team can assist with satisfying any interest or create a personalised programme to ensure you continue to follow your preferred sports routine during your time with us. The Frangipani Pool is open to all guests, except children under 16. Children are welcome to use the main pool in the Hibiscus Wing. For the comfort of our guests, the Frangipani Pool offers a quiet environment to indulge in tranquillity amidst stunning surroundings.